A beautiful line with plenty of great knob climbing, Orange Man will challenge you with its two sections of 5.10c micro-edge slabs. 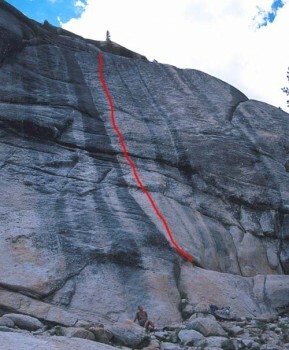 By starting to the left of the normal start and traversing in, the first crux can be skipped. Also, the second crux can be climbed around at runout 5.10a. Which SuperTopo guidebooks include a topo for Orange Man?